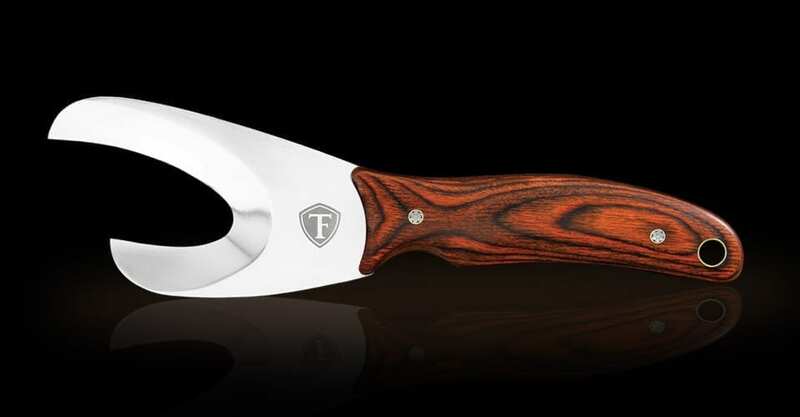 The Best Hunting Knives for Field Dressing all Big Game. Buy the best, safest, and most effective field dressing knife on the market. Unlike other knives, FieldTorq knives easily cut hide, flesh, and even bone, but not the user or internal organs of the big game animal. They are made of High Carbon Stainless Steel to hold a keen edge for many uses before sharpening is required. Lifetime warranty and Performance guaranteed! Instructional videos on YouTube and Testimonials page. Easy to use Two-stage Ceramic Sharpener is included. 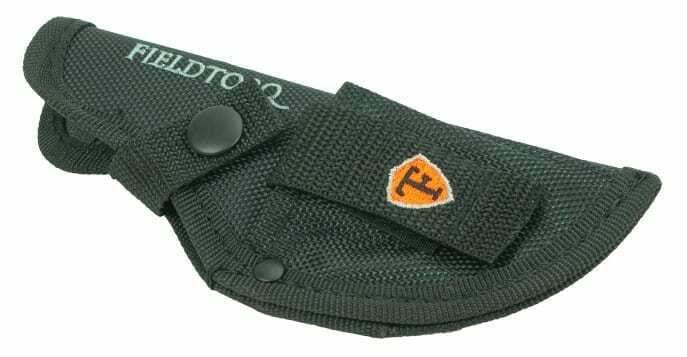 Heavy Duty Ballistic Nylon Sheath is included. 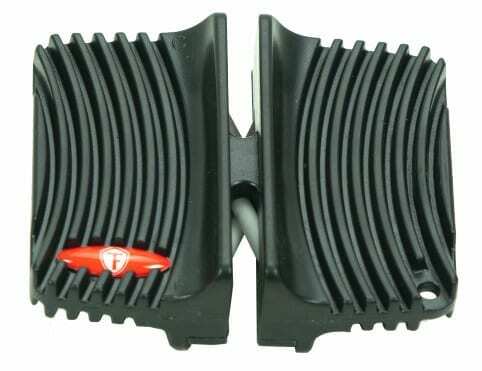 Innovative Torq Assist is included. Secure online ordering with FAST delivery or call 1-855-729-2900. Estimated delivery: 2 – 3 business days in the US or 6 – 10 business days in Canada. 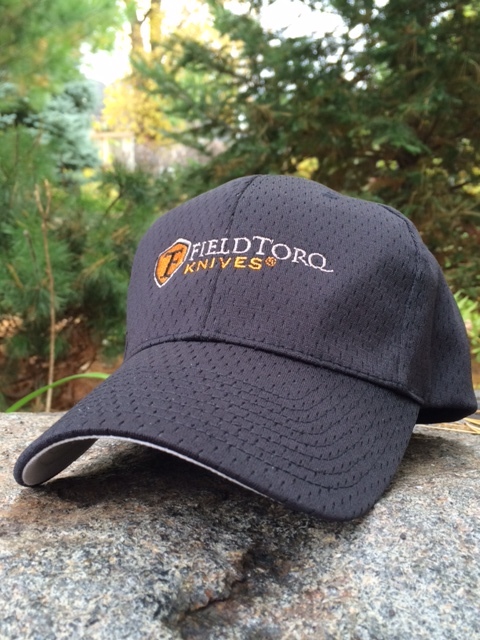 Breathable and comfortable, this FieldTorq Knives embroidered cap has a great pro look, complete with a contrasting grey underbill. 100% Polyester. Hook and loop closure. One size fits all. The Torq Assist™ is an ingenius in-use device which is slid onto the longer blade to aid in cutting bone and also prevents puncturing guts/bladder. Pressure relief–Protects blades from extreme bone cutting pressure. Pressure dispersion–Displaces force to prevent puncturing through bone. Protection–Prevents guts and bladder from being punctured. 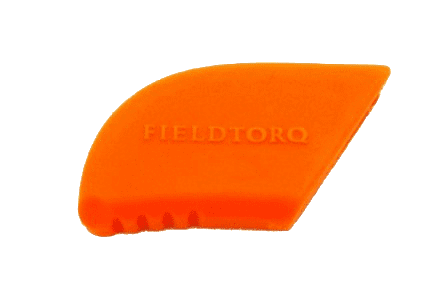 Heavy duty Ballistic Nylon, riveted, friction-fit, and button fastener ensures your FieldTorq knife will remain safely at your side or in your pack. 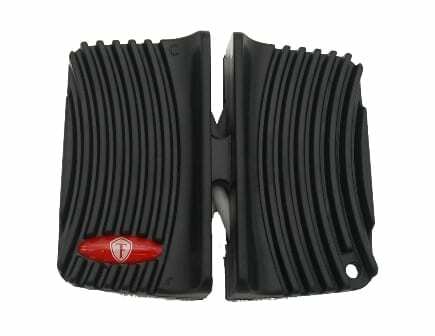 It also features a velcro front pocket for keeping the Torq Assist™ handy for when you need it. 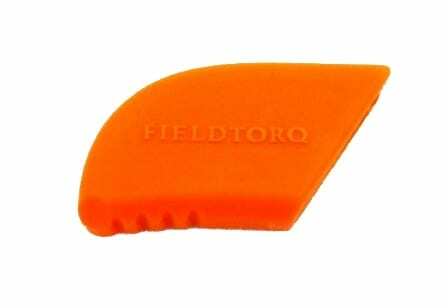 FieldTorq Knives branded Two-Stage Ceramic Sharpener creates a perfect edge around the entire radius of the curved blade every time. The Viscerator in 8Cr13MoV high carbon stainless steel offers superb stain resistance, wear resistance, and edge-holding capabilities. 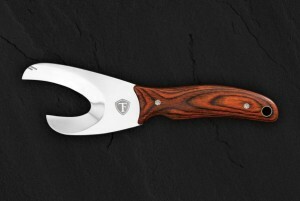 Includes brown Leather Sheath, custom Ceramic Knife Sharpener, Instructional Brochure and a Lifetime Warranty. Imported.